Portable Ice Makers make it possible for you to have ice on hand at all times without the need to leave the house to buy ice from the store. Whether you're going on a camping or boat trip, throwing a party at your place or need something for a busy office environment, a portable ice maker creates ice without the need for permanent installation and dedicated water lines. For each of our selections, we include information about key features including production capacity, production speed, portability and type of ice cubes produced. If you're unsure as to which type of portable ice maker would suit you best, take a look at our buying guide to learn more. Read more about our methodology. 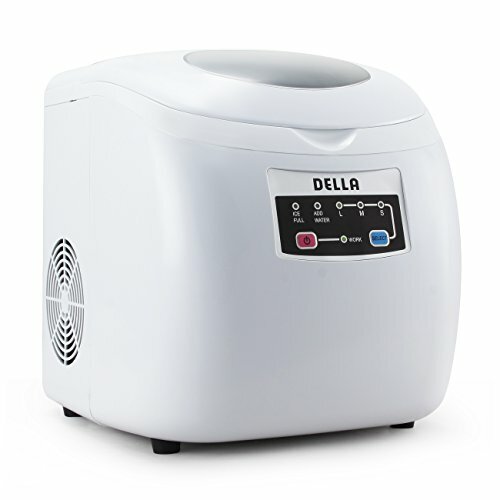 The Della 048-GM-48195 portable ice maker is a strong all-around performer. With a up to 35 pounds of ice production per day, fast production speeds and a beautifully simplistic design, we recommend it as our top pick because of its superior performance, durability and ease of use. 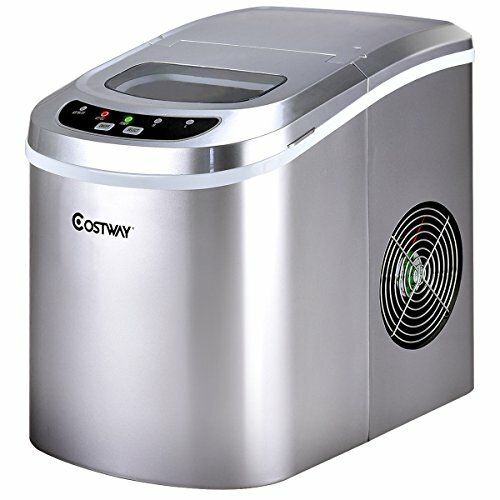 The Costway Electric Ice Maker stands out because of its high production capabilities and its lightweight and compact size. Capable of making three different sizes of wonderfully textured bullet shaped ice cubes, the Costway is not to be ignored when considering which portable ice maker to choose from. The Easy-Touch ice Maker from Della is a compact unit perfect for those looking to get the most out of their ice maker at a very reasonable price. The appliance wouldn’t look out of place on any kitchen counter surface and is portable enough to be picked up and taken on trips with effortless ease. The Edgestar IP210SS1 comes fully equipped with the technology required to make ice production easier than ever before. Capable of making 28 pounds of ice per day with a large one-gallon water reservoir, this unit has you, your family and friends set for ice throughout the day. 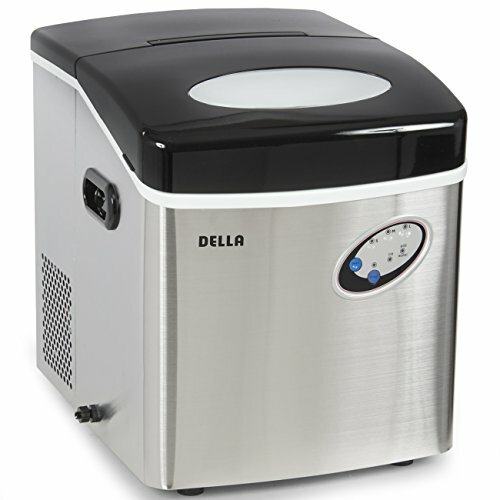 The Della 048-GM-48194 portable ice maker is ahead of the curve when it comes to producing large amounts of ice. With a stylish stainless-steel finish, this unit integrates all the latest portable ice making technology to produce up to 48 pounds of bullet-shaped ice each day. The lightweight nature of the Rosewill RHIM-15002 means there is no problem moving it to different locations as much as you like. Add to that an above-average production speed, and this is an impressive little machine. 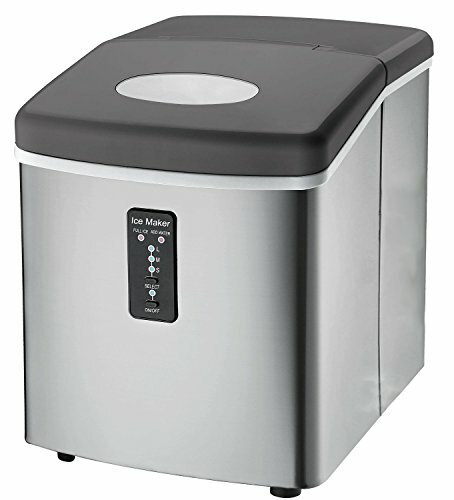 The Ice Maker MachineTG22 is a well-built appliance that can create ice cubes in as little as six minutes. Capable of creating three distinct sizes, the TG22 is an attractive looking unit oozing with sophistication. 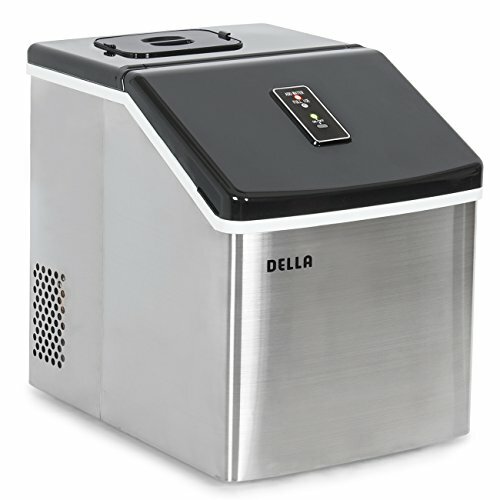 This electric ice maker from Della can create restaurant quality clear ice cubes. This is important if you want the sophisticated look of high-quality ice cubes and ice that doesn’t dissolve quickly in your beverage. If you go through a lot of ice every day, you will need to check how much ice the unit is capable of making. This is usually highlighted as one of the main specifications for portable ice makers and is usually measured in pounds per day. If you're holding regular parties and want to make sure there is enough ice to go around without having to refill the water reservoir, you will want something that can not only produce a lot of ice but can also store a large amount of ice in the storage tray. The average production of portable ice makers in a single day is 26 pounds. Anything above that is considered a high production machine. Although all portable ice makers are advertised as portable, some units are lighter and take up less counter space than others. On camping trips, for example, you may already have a ton of things you plan to bring along with you and want to keep the weight down to a minimum. In this particular case, you’ll want something that is easy to carry and won't take up too much space once installed. If you require something lightweight, be sure to check the item weight before purchase, on average units can weigh around 23 pounds with the lighter models under 20 pounds. If you're someone who wants to have ice ready almost immediately after filling the water reservoir, then you should consider a high-speed production model. Across the spectrum portable ice maker manufactures will claim to produce ice between 6 and 12 minutes, and although some machines are capable of this, most usually take between 10-20 minutes to fully produce a single batch of ice. Low production units with smaller storage capacities start at around $100, with higher capacity units with high production rates costing up to $250. One of the reasons in this disparity is that the larger capacity units require much less hands-on time from the user, and can be left to create ice throughout the day without much manual intervention for topping up water levels. Based on user reviews there is also a strong correlation between more expensive models and durability. Buyers of cheaper models are much more likely to have issues with their appliances within the first year of purchase, making well-built appliances and long-term warranties a sought-after commodity for this type of product. 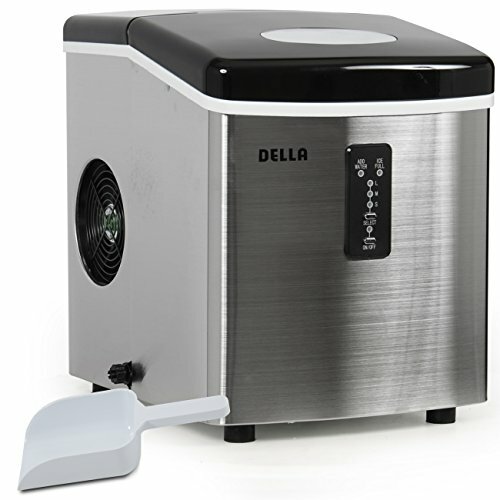 The Della 048-GM-48195 portable ice maker tops our list as the best overall portable ice maker. Capable of producing up to 35 pounds of ice in a single day the appliance is fast, durable and requires little manual intervention to consistently pump out ice throughout the day. A sleekly designed stainless steel unit, it is simple to use with easy-touch buttons and will alert you when the storage capacity is full and when water levels require topping up. Fast ice production. 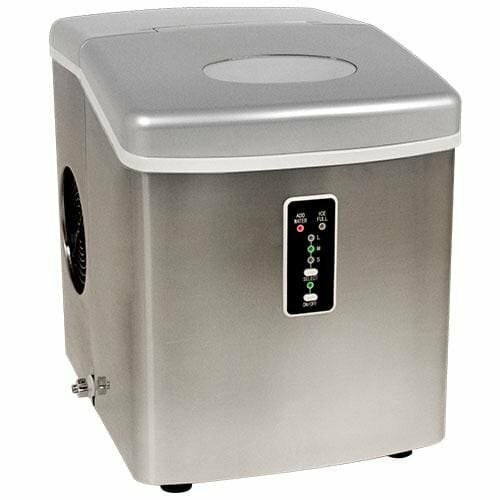 Unlike many of its competitors, the Della 048-GM-48195 portable ice maker is able to back up manufacturer claims of extremely fast ice production speeds. Users comment on their surprise at how fast the unit was able to produce batches of ice consistently within a 6-12 minute timeframe throughout the day. High production capacity. Able to create up to 35 pounds of ice per day, this unit is great value for those looking to get the most out of their portable ice maker. The production capacity was heavily praised by users who are pleased they could take the appliance anywhere they liked and always have ice on hand throughout the day. Stainless steel finish. 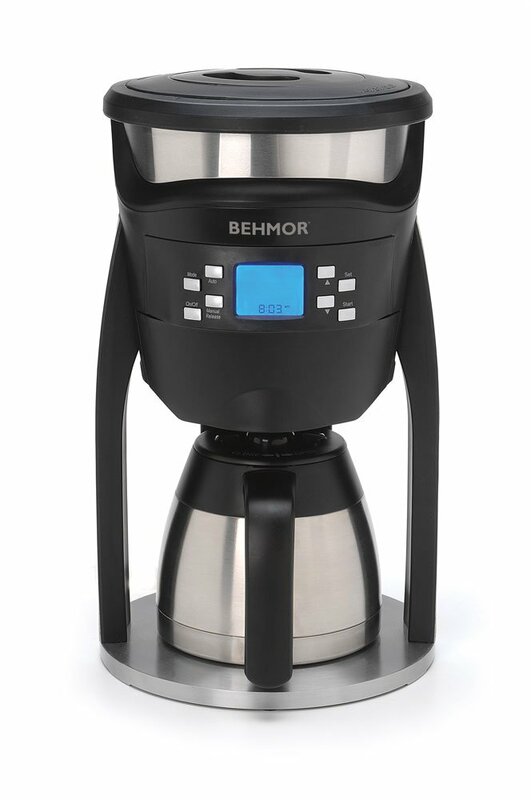 Although larger than other models, reviewers comment on how the aesthetically pleasing the stainless design is and how it blends into its surroundings extremely well. Simple to use. Many users are quick to point out just how easy it is to set up the unit. The instructions are as simple as plugging the appliance in, filling it with water and pressing the button to begin the process. Size of ice. Although the manufacturer claims that the unit is capable of creating three different sizes of ice, many users say that they could not notice any considerable difference between the small, medium and large ice cubes. Producing soft textured bullet shaped ice, the Costway can deliver on its promise to create three distinct sizes of ice cubes from, small to large. 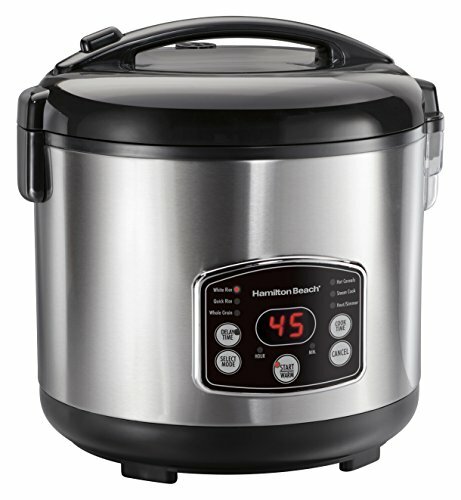 The lightweight Costway Electric Ice Maker is capable of pumping out 26 pounds of ice per day. If you’re looking for a portable ice maker with a great balance between production and portability, we recommend seriously considering this product. Production to weight ratio. Weighing in at just 17.5 pounds the Costway can produce up to 26 pounds of ice per day when left on throughout the day. Users praise the unit’s ability to produce a large amount of ice despite its smaller size in comparison to similar models. Great textured ice cubes. Users are extremely happy with the texture of the bullet-shaped ice cubes, many commenting positively on the taste and soft texture of the ice. Good-sized ice cubes. The Costway is advertised as a portable ice making machine that could make three sizes of ice (small, medium and large). Users say they are happy with the distinction in each size and not bothered by the fact it took longer to produce ice cubes of a larger size. Ice melts fast. Regardless of the fact the unit will recycle any unused ice that melts back into the reservoir, some users are not happy with how quickly the ice melted after production. Many say the storage unit was not insulated well enough to keep the ice solid for long periods of time. Noisy. The appliance makes loud noises throughout the ice making process, some users pointing to the compressor as the source of the noise. The Della Easy-Touch Ice Maker is a kitchen appliance that delivers in its aim to create perfect ice cubes in mere minutes. With a compact footprint, the unit can be taken on camping trips with ease and provides you with cool ice during those hot summer days. The Easy-Touch Ice Maker is at home on the kitchen counter and because of its size and weight can be unplugged and moved to the RV, the office and even outside for summer parties in the garden. Small footprint. The appliance is very compact, with users saying they were pleased to see the unit slot in comfortably on the countertop without sticking out and blocking other appliances. Great for trips. Many users commented on their experiences using the appliance whilst on camping, RV and boat trips. Across the board the unit received high praise for its functionality and efficiency in different temperatures and environments. Low level of noise. Many portable ice makers are prone to making loud noises throughout ice production. Users of this unit however were delighted to find the product kept noise to a minimum throughout the ice making process. Small Ice Cubes. Although the easy-touch maker from Della offers three different sizes of ice cubes, users who wanted larger ice cubes were disappointed to find that even the largest setting of ice was a lot smaller than they had hoped. Long reset time. Some users pointed out that once the appliance was moved and set up in a different location it could take up to 40 minutes until it was able to create a new batch of ice. The Edgestar IP210SS1 is a compact unit kitted out with a simple user interface, light indicators (for water and ice levels), three sizes of ice cube to choose from, a window to check on the ice, a one-gallon water reservoir and is capable of making up 28 pounds of ice per day. Easy to use and even easier to set up, the Edgestar is an excellent portable ice making machine that can be used as a permanently installed unit or taken on trips throughout the year. Simple user interface. The Edgestar has a minimalist user interface, with just two buttons for on/off and ice cube size selection. Customers love the simplicity of the two sensors that light up when water levels were low and when the ice tray was full. Durable. Many users say they were impressed at how durable the unit was, lasting much longer than previous purchases and not getting worn down by frequent movement. Easy set-up. Customers are delighted at how simple the unit was to set up straight out of the box. Many report having ice after just ten minutes after installing the device, including the time it took to pour in the water and begin the process. High noise level. Despite being happy with the overall functionality, some users say the unit is loud throughout the ice making process in comparison to some of their other kitchen appliances. High-Volume ice makers are great for homes, offices and other facilities that go through a lot of ice each day. As the name implies, these ice makers produce more ice than other makers – often well over 40 pounds of ice. This unit features as our top high-production ice maker, able to produce nearly 50 pounds of ice in a single day. The Della 048-GM-48194 has a futuristic feel to it, with a stylish button interface and sleek design aesthetic. The unit features a well-insulated storage bin to keep ice cool for long periods of time and intelligent water recycling meaning zero waste of water throughout the ice making process. Well-insulated storage bin. Reviewers are pleased with how long the ice lasted before melting back into the reservoir, saying that it was important the ice stayed solid for a while before it dissolved back into the reservoir. Intelligent water recycling. Many portable ice making models will recycle the melted ice that isn’t used back into the reservoir to be frozen again. This model, in particular, is praised by users for the sophistication in its water recycling mechanism. Futuristic design. Users are very impressed with the style of the appliance. 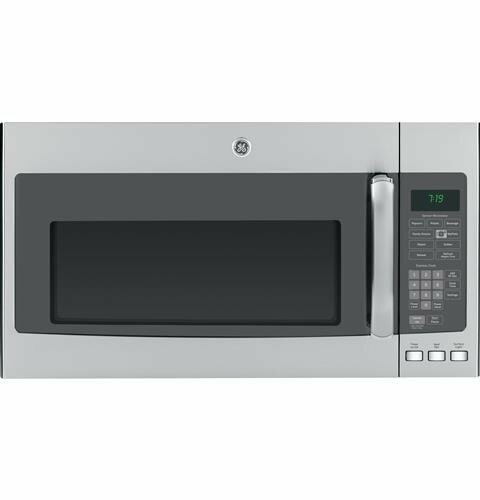 Many praise the sophisticated look of the sleek stainless-steel finish and futuristic user interface located on the front of the unit. Not compact. Due to its ability in creating so much ice per day, the appliance is bulkier than other models. 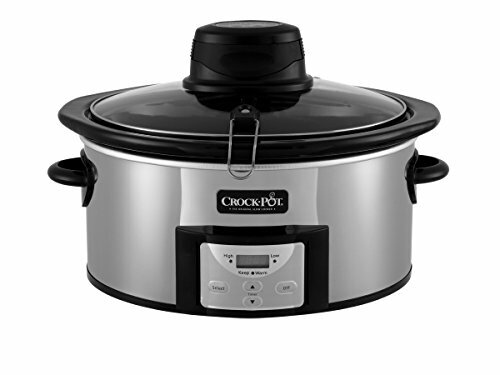 Some reviewers report being unhappy with the compromise in size, saying the unit took up too much space on the countertop compared to other kitchen appliances. Loud ice drop. A handful of users say they are frustrated by the loud noise the unit makes when a new batch of ice dropped into the storage holder. When considering the portability of an ice maker, weight is a huge factor. Lightweight ice makers are easier to move around and often require less space. One downside is that they also produce less ice per batch. Weighing in at less than 18 pounds, the Rosewill RHIM-15002 is portability at its finest. Suited to those looking for an ice maker that can moved on the fly, this unit is can pump out ice between 6-12 minutes and is extremely compact in comparison to other models. If you’re looking for something lightweight with a small countertop footprint, this model fits the bill with a smart-looking design and efficient ice making production capabilities. Great portability. Above all else, users of the Rosewill RHIM-15002 love its portability. Weighing only 18 pounds the unit can easily be unplugged and moved with ease. Fast production. 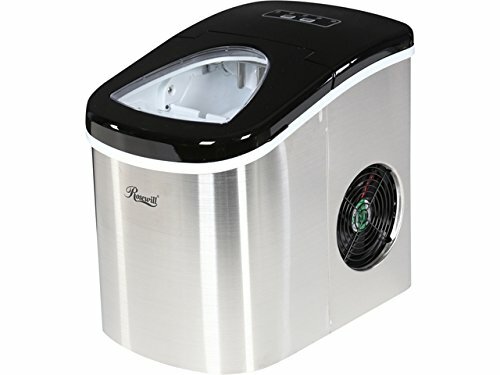 Many reviewers are happy with the speed of the Rosewill RHIM-15002, saying that the appliance met manufacturer claims of being able to produce batches of ice within 6-12 minutes. Compact. The unit is compact as well as portable, with users praising the design quality and saying it was a lot smaller than previous portable ice makers they had owned. Small storage capacity. Some users say they wish that the machine could store more finished ice. Noise levels. This is not a quiet machine, users report. If you want ice quickly, production speed is an important consideration. Some portable ice makers may take up to 20 minutes to produce a batch. High-speed ice makers can produce a batch of ice in as little as six minutes. The Ice Maker MachineTG22 from Think Gizmos does its job of creating bullet shaped ice cubes in mere minutes extremely well. 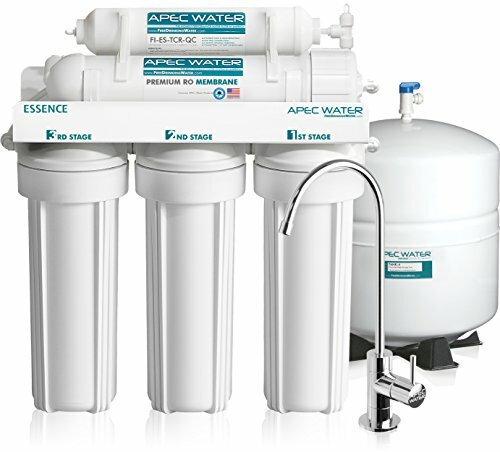 With three sizes to choose from, users are able to have ice ready and waiting for them throughout the day. A sturdy machine with a stainless-steel finish gives this unit a sophisticated look that doesn’t go unnoticed by buyers. If you’re looking for something that can create ice fast at consistent intervals, we suggest seriously considering this model. High-speed production. Users verify the manufacturer claim that this machine is capable of making ice between 6-8 minutes. Users say that the first batch would take a bit longer than the rest, but after that it would pump out ice consistently within the specified time frame. Attractive Appliance. A nice stainless-steel wrapping gives this unit a sophisticated look. Users are pleased with the aesthetic presence of the ice maker, with many saying it did well to fit into their current kitchen décor. Sturdy machine. Many users describe the product as extremely well designed and comment on the sturdiness of the machine in comparison to previous models of portable ice makers they had purchased. Wet Ice production. A group of customers are disappointed with the type of ice that was being produced by the appliance, saying the ice was too wet and melts quickly. Ice doesn't store well in Freezer. Users who transferred the ice into zip lock bags to store in the freezer were disappointed to find the ice forming into one single block as opposed to keeping their individual ice cube form. If you are looking for restaurant-quality clear ice cubes as opposed to the cloudy ice usually found at home then you’ll need a model that specifically states the maker will produce clear ice. Not only does clear ice have that sophisticated look that makes cocktails even more appealing, it also melts more slowly than cloudy ice. 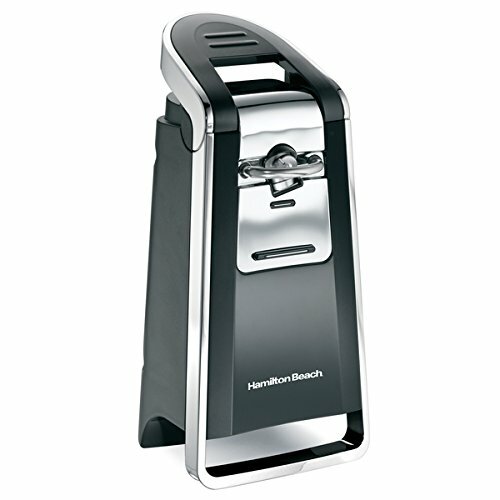 Capable of creating the cleanest and purest looking ice cubes around, the Della Electric Ice Maker is perfect for those looking to impress their friends with restaurant quality ice in their cocktails. With large water reservoir and up to 28lbs of ice production per day, this portable ice making machine is aimed at those looking for something on the higher end of the spectrum. Clear ice production. With other portable ice makers generally only able to create wet bullet shaped ice cubes, users are thrilled with this appliance's ability to create restaurant quality clear ice cubes. High production rate. With up to 28 pounds of production per day, users were happy with the efficiency of the unit, saying that speed was not compromised for production volume and that they were satisfied with the overall ice cube production. Ease of use. The simple user interface featured on the lid of the unit makes it simple to use, and makes the user aware of when the reservoir needs refilling or when the ice storage is full. Users praise the speed at which they were able to plug the machine in and have ice ready in just a matter of minutes. Substantial countertop presence. Some reviewers, although happy with other aspects of the unit, are unpleased with the portability of the unit and the amount of countertop space it required.